The K&M 14330 Saxophone Stand Black is a saxophone stand, with a height of 310mm, and a black aluminium coating. 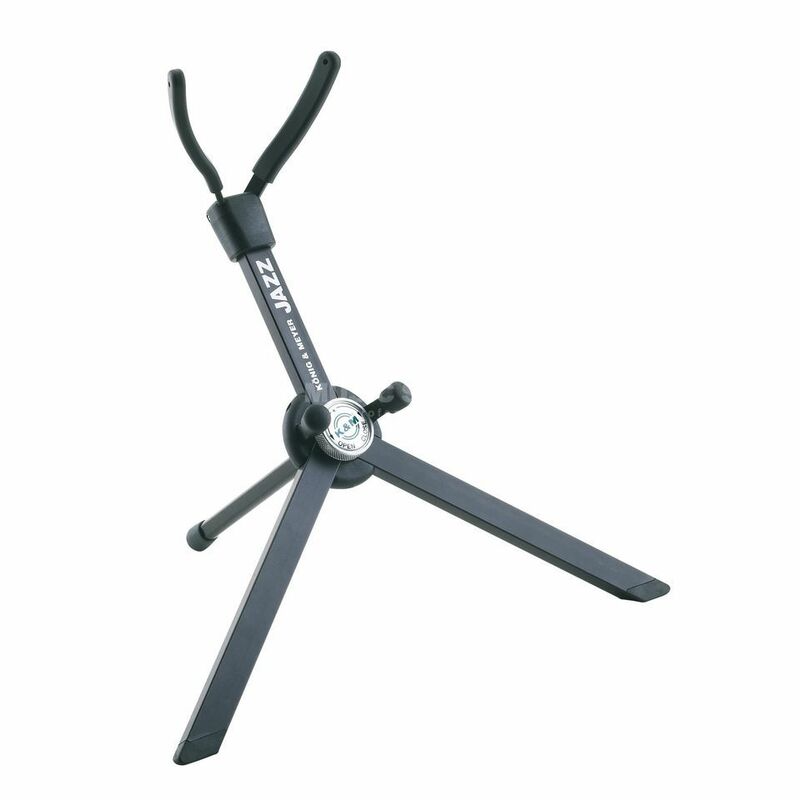 The 14330 is a practical, easy to use and stable stand for Eb alto saxophones. Built with solid square-type aluminium tubes with a large central locking screw, this stand features protective rubber bumps where the stand connects with the saxophone body and the bell. Featuring embedded foot end caps, this saxophone stand folds compactly, and can be transported in the supplied velour bag in the saxophone bell.